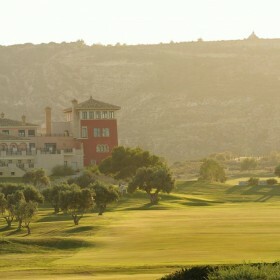 Golf courses hardly come more Mediterranean than La Finca. It is situated at the foot of the Escotera Mountains, between the citrus fields, in a natural environment, with superb views of the “Vega Baja”. 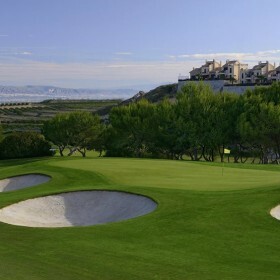 Designed to host top golf tournaments, La Finca offers the greatest variety in greens on the entire Costa Blanca; from extremely long to super short. The course is beautifully realised on two levels, and bunkers are placed exactly right to catch misdirected balls. 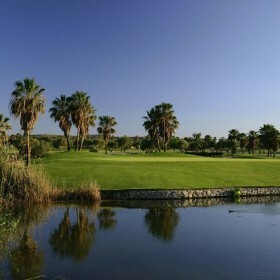 Lakes with flowing water and fringes of reeds offer beauty and challenge, making La Finca not only many golfers’ favourite course, but also home to a variety of migrating water birds. The many olive and palm trees complete the picture. 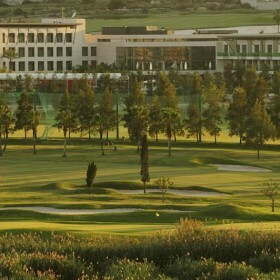 A great course, where you will definitely enjoy a good day’s golf. It is a young course that opened its doors in August of 2002. 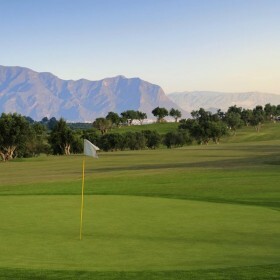 Since then it has demonstrated to be the one golf course to offer the most possibilities in the entire Costa Blanca. 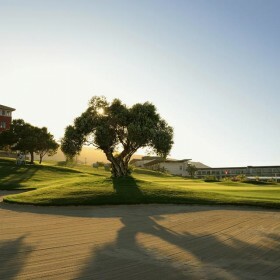 La Finca golf course offers 18 holes + 1, each one designed by the prestigious Spanish designer Pepe Gancedo. 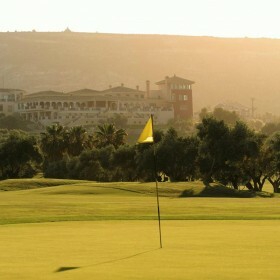 It is a course with generous fairways and spectacular greens because of its design and variety of contours. 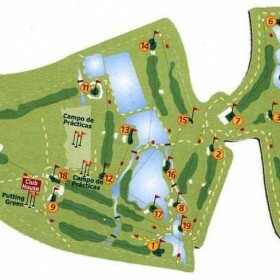 * The 5th and 6th holes, next to a beautiful lake with several waterfalls on their left side. This lake provides these holes not only with a water hazard, but also an added beauty that complements this already gorgeous course.